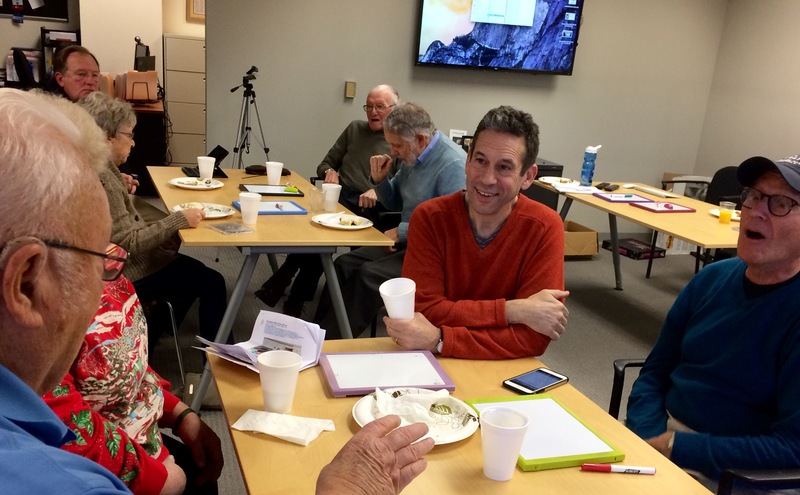 When Lingraphica's Aphasia User Group met on December 9, our discussion eventually turned to the topic of favorite holiday traditions. Here's what a few members warmly recalled. This was the first response, and it took most of us by surprise, but then she went on to explain. Spinning the dreidel is part of their family Hanukkah tradition, and when people play with the top-like toy, they use chocolate coins called gelt to "bet" with. For those who love chocolate, spinning the dreidel could make your holiday quite happy! Betsy and Paul also like to make latkes, a potato pancake, and enjoy them with apple sauce. Ed and Lucy celebrate an Italian-American tradition of serving seven different kinds of fish or seafood—no meat—on the night before Christmas. Some years, it's just the two of them, but they still go all out and keep their tradition. Several members of the group mentioned a gift-giving tradition that began here in Lingraphica's home state of New Jersey—the Hess Truck collectible. Since 1964, the gas station company has sold a unique collector's item Hess Truck toy. The idea of collecting and giving these toys as gifts to young children quickly caught on and still exists today, even though the gas stations are a rarity. And lastly, to round out the year, another popular tradition among members was watching the ball drop from Times Square in New York. Rita, who had a stroke three years ago, said that she and her husband Ray enjoy this tradition quite a bit. Several members had attended the event in person years ago, and many more still enjoy the event from the comfort of their own home each year. Whatever your family holiday traditions are, we wish you a warm and wonderful holiday season, and we look forward to making 2017 a great year together!